Relax in our three comfortable bedrooms and rest as ever. We offer two king-size bed rooms and one double with individual beds. 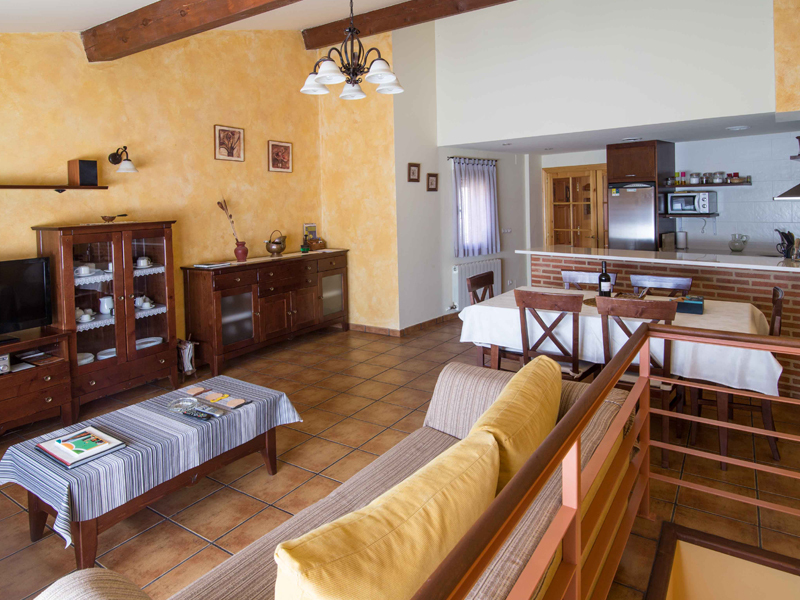 Share the best moments with your family or friends in our common spaces: a spacious living room and a very special outdoor area: a fireplace with mountain views surrounded by a relaxing garden, including a traditional hot tub. 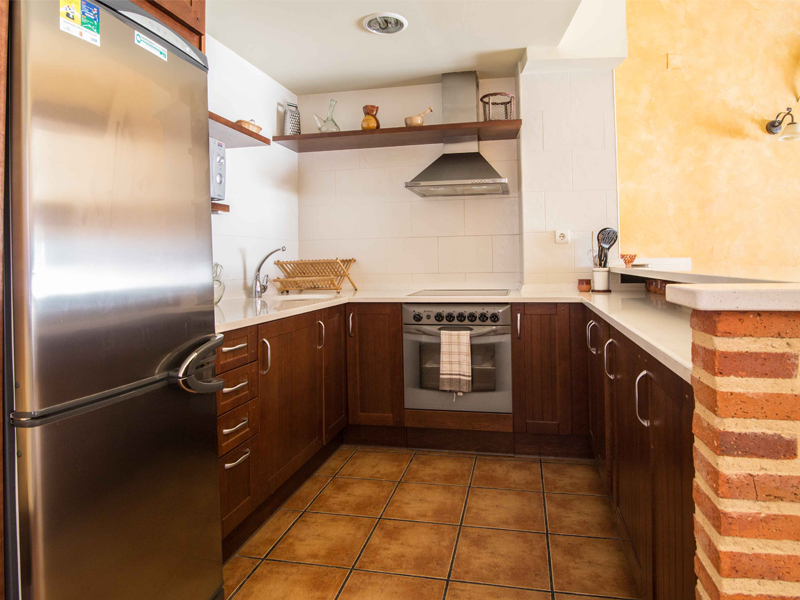 Find all you need: fully equipped kitchen, two complete bathrooms (including an eco-massage shower). If you travel with babys remember that our house is adhered to the “Family Point” initiative: we will provide you all the baby-household you need to feel home (baby bath tub, bottle and baby food warmer, cradle…). Do you need anything else? Mail us!